Constructing a brand is constructing a perception – nothing more, nothing less. 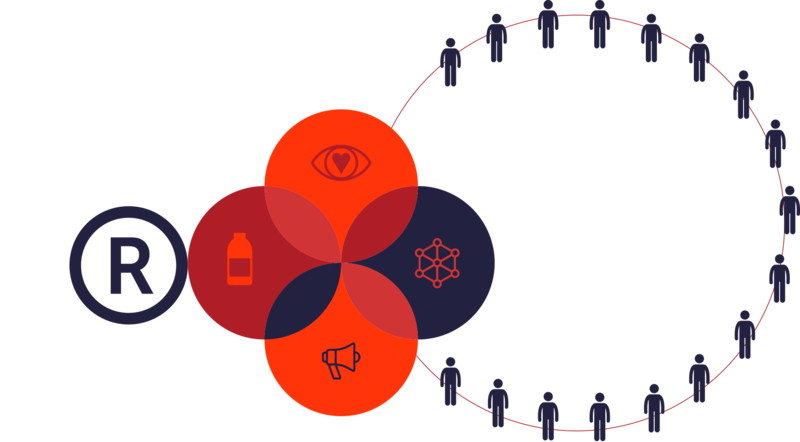 Perceptioning® is the first structured method that allows companies to develop their brand based on the perception they wish to create in the consumer’s mind. This is the easiest and most logical way to create a brand. Perceptioning® is logical, because as consumers choose brands based on their perception — the perception is created first. The product and marketing communication plans are then strategically defined to support the desired perception. It is easy because it can be done in three simple steps. 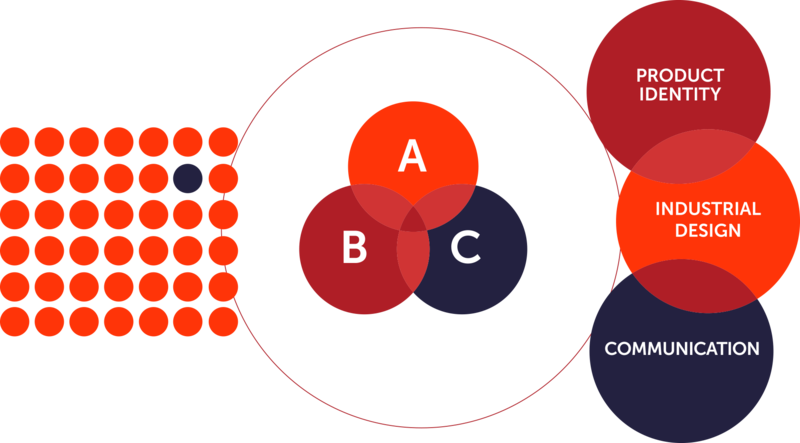 Positioning is transformed into perception through the definition of the three key values that compose it. Finally, the three key values are used to implement the brand’s perception through the main physical expressions that denote it: the technical characteristics of the product, industrial design, marketing communication. This way Perceptioning® becomes the center of gravity of all branding activities. Many companies have chosen to enhance their marketing through integration with our specialized skills. We have extensive experience in developing and managing external teams that support and enhance a company’s internal organization. The advantage, is using highly qualified resources while also optimizing results and achievements. Our in-depth knowledge in our area of expertise, combined with a strategic know-how of brand and business design, accelerates the processes of innovation and brings new knowledge and energy to a company. Experience of brand design and strategic marketing at the international and global level. A multidisciplinary and innovative approach that combines strategy, design, marketing and technology. A widespread network of excellent professionals managed by a team dedicated to your project. The first brand development method based on consumer perception. Perceptioning® is the first method of brand development that focuses on the most important point of view – the consumer’s perception. in order to understand your brand’s perception by the consumer. We will then find the best possible positioning for your brand’s perception. We will help you identify what makes your brand unique and transform it into a strong and discerning perception. We will give you the tools to use each contact with the consumer – from the product to advertising – as an opportunity to reinforce your brand’s perception. We will help you create an internal structure that perceives, protects and reinforces the brand with each decision… and evaluates its progress over time.